Home » Article » How to build an online store on a budget? How to build an online store on a budget? Before we address the ‘how’ of building an online store on a budget, let’s take a little look at why you might want to?! In 2018, eCommerce sales accounted for 11.9% of al global retail sales, a figure which is expected to rise to 17.5% by 2021. In 2017 that equated to $2290 billion worth of revenue. So there’s plenty of pie to go around, you just need to know exactly how to go about getting a big ole juicy slice of it for yourself. You might think about getting your foot in the door is going to take some fairly serious investment, and to a certain extent, you’d be right. eCorner estimate that it takes in the region of $30,000 (in year 1) to establish a fully-fledged online store. Now I don’t know about you, but I really don’t have a spare $30k laying around to invest in my own business. What if I told you there could be another way? 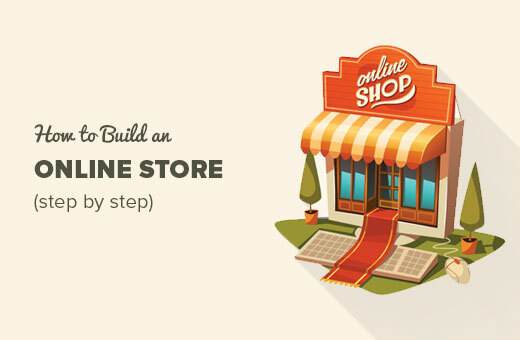 A way of building your online store on a shoestring budget. Follow my 3-step guide below and the world of eCommerce could fast become your oyster. STEP 1: Find a product which will sell! Now, this is undoubtedly the hardest step of all. Entrepreneurs have generated successful online businesses selling all kinds of weird and wonderful products. You’re not going to be able to compete with the giants of the eCommerce game. The key is to choose a product niche enough that not many retailers sell it already, but not so niche that no one wants to buy it. Once you’ve got a few ideas you can plug them into a platform called Google Trends to see what kind of online interest level they have generated in recent weeks and months. This will give you a great idea of how popular that product might be and whether it’s worth pursuing further. Before you commit to any product, in particular, it would be smart to calculate how profitable you can actually make it. Put simply, decide how much you can sell one item for and subtract any foreseeable costs. STEP 2: Dropship or go it alone? Dropshipping simply refers to a method of selling and transporting your goods using a third-party supplier. The idea is that you spend as little time as possible handling the logistics of running an online store (inventory, shipping etc.) and your supplier benefits from your marketing and selling expertise. A symbiotic relationship if you will! Pretty much a third of all online stores use drop shipping as their principal method of fulfilling orders so it’s a pretty popular option. Having said that, as a business, your profit margins are obviously significantly smaller as your costs are that much higher. Certainly something worth considering though as it does take away much of the hassle of running an online store, especially if you’re new to this game! STEP 3: How to make a website? There are plenty of options for you to choose from when it comes to building your online presence, and none of them have to break the bank! More than 25% of websites operate using the WordPress platform and there is nothing stopping you from using it to run an online store. In fact, in 2016, over 40% of all eCommerce websites used WordPress. Not only is it free to set up, but it’s specialist eCommerce plugin, Woocommerce, won’t cost you a dime either. Using WordPress as the engine room of your online store will require a hosting account, however. This is a pretty simple process and doesn’t need to cost you any more than $4/month, so it’s hardly a deal breaker! Probably the number one specialist platform for building an online store, and perfect for those of you who know how to make a website and drive traffic and sales through it. Plans start at just under $30 per month and there is even a 14-day trial in which you can test whether Shopify is the right fit for your business. Two major positives of using this platform include the vast app database, which makes customizing your site both time and cost-effective; and the automated integration with a number of drop shipping service providers. Whilst this isn’t your own website, making use of the global eCommerce giant that is Amazon has a whole range of great perks. Not only will it give your product instant access to over 300 million users, but it also allows you to save on website design and coding. Even more appealing, there are little if any initial costs and you only start paying out any money once you start selling your products. Winner!